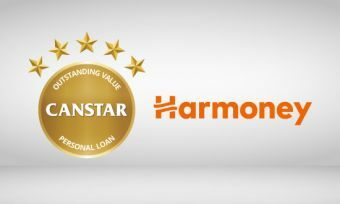 Out of 30 personal loan products across 10 lenders, Harmoney has picked up a CANSTAR 5-award for the second year running for its Unsecured A Credit Rating personal loan. Canstar caught up with Monica Mathis, Harmoney’s general manager sales and marketing, to find out what the P2P lender has been working on, as well as predictions for the future of P2P lending. Q: Harmoney has been operating for two years now, what milestones have you reached and what are some of the highlights for you as a P2P lender? “It’s been very exciting to see the business scale so quickly and, despite regulatory uncertainty in New Zealand, Harmoney continues to experience strong growth. Having originated over $360M of loans, roughly $5.67 per second, this makes Harmoney the largest and fastest growing marketplace lender in Australasia. Over $360 Million in Peer to Peer funded loans transferred through our online marketplace. Winner of the Innovators Awards, 2015 in the Financial and Professional Services category. Selected as one of the Rising Stars in the Deloitte 2015 Fast 50. P2P in New Zealand is still relatively new, what changes have you noticed in the market? What changes in the P2P market do you expect to see in the next 12 months? “Since we launched New Zealand’s first FMA licensed lending marketplace in September 2014, we’ve seen early adopting Kiwis really take to the benefits Harmoney offers in droves. 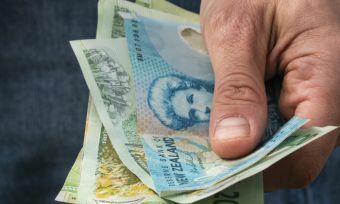 Kiwis are seeking a better way to fund the things they want, without the need to wait in long queues and, instead, through Harmoney, they see their funds in their bank accounts in less than 24 hours after listing. In the next 12 months, we foresee peer-to-peer lending becoming much more mainstream. Savvy New Zealanders are already starting to question and compare the benefits of their traditional lending providers. Harmoney has now expanded into Australia, how has this transition gone – what have been the successes and challenges of the expansion? Click here to read Canstar’s full personal loan report for 2016.